The PREDIMED-Plus trial evaluated overweight/obese patients at 6 and 12 months for changes in body weight, adiposity parameters, and intermediate markers of cardiovascular risk. A 12-month lifestyle intervention program that combines adherence to a Mediterranean diet, increased physical activity, and behavioral support was found to result in weight loss and improvement in cardiovascular events among overweight/obese patients, according to a study published in Diabetes Care. Participants (n = 626) were randomly assigned in the PREDIMED-Plus trial either to an intensive weight-loss intervention based on an energy-restricted Mediterranean diet (erMedDiet), increased physical activity, and behavioral support (intervention group; n = 327) or to an erMedDiet without increased physical activity (control group; n = 299). Participants included men (aged 55 to 75 years) and women (aged 60 to 75 years) with metabolic syndrome, body mass index (BMI) ≥27 and <40 kg/m2, and no history of cardiovascular disease (excluding NYHA class I or II heart failure or valvular disease). Participants completed a group of questionnaires to assess for diet and physical activity. 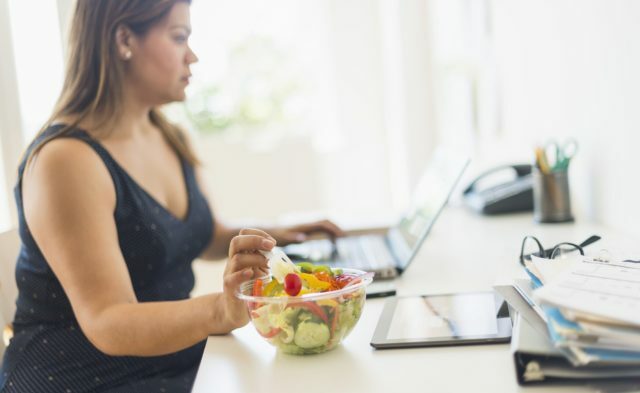 A 17-item questionnaire that analyzed adherence to the erMedDiet was provided to all participants; participants in the control group responded to a 14-item PREDIMED questionnaire that assessed for the traditional MedDiet. All participants completed a 143-item food frequency questionnaire, along with the Regicor Short Physical Activity Questionnaire and the Nurse’s Health Study questionnaire to evaluate sedentary behaviors. Physical fitness was evaluated using the 30-second chair-stand test. Anthropometric and blood pressure measurements were obtained, as were samples of fasting blood and urine. Patients were evaluated for between-group differences in weight, adiposity parameters, waist circumference, and body composition loss at 6 and 12 months. Intermediate markers of cardiovascular risk such as systolic and diastolic blood pressure, glucose metabolism-related variables, lipid profile, and peripheral levels of leptin, C-peptide, and inflammatory markers were recorded as well. Although both groups reported similar adherence to the Mediterranean diet at baseline, participants in the intervention group reported greater achievement in more than half of the items indicating adherence to the erMedDiet compared with the control group, with significantly increased consumption of key Mediterranean foods. 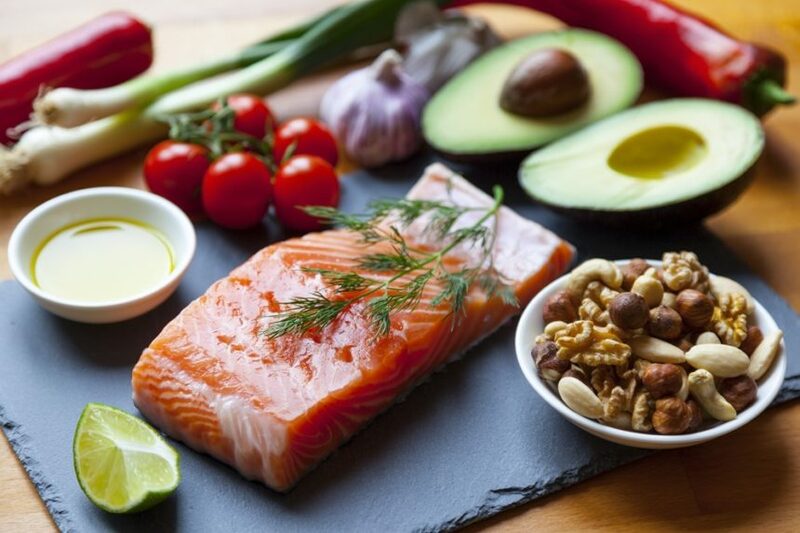 The intervention group was found to have greater reductions in daily energy intake at 12 months compared with the control group, as well as lower intake of carbohydrates and a higher intake of protein, total fat, and monounsaturated fat. Time spent in leisure physical activity increased in the intervention group and decreased in the control group. At baseline, 52.6% of the intervention group and 51.5% of the control group were found to meet the World Health Organization’s recommendations for weekly levels of moderate-vigorous physical activity; at 12 months, the proportion increased by 11.5% in the intervention group and decreased by 0.7% in the control group. At 6 months, change in mean weight from baseline was -2.4 kg for the intervention group and -0.4 kg for the control group; at 12 months, change in mean weight from baseline was -3.2 kg and -0.7 kg for the intervention and control groups, respectively. The mean difference between groups at 12 months was -2.5 kg. Reductions in BMI from baseline to 6 and 12 months were greater in the intervention vs control groups. More participants in the intervention group compared with the control group saw a decrease in weight from baseline at 6 months (81.3% vs 58.4%; P <.001) and 12 months (84.1% vs 57.9%; P <.001). Waist circumference was reduced more significantly at both 6 and 12 months in the intervention vs control groups. Fasting glycated hemoglobin, insulin, and the Homeostatic Model Assessment of insulin resistance were reduced at 12 months in the intervention group; no changes were observed in the control group. Systolic and diastolic blood pressure measurements and total LDL-C levels decreased in both groups. Improvements in glycemic control, insulin sensitivity, and triglyceride and high-density lipoprotein cholesterol levels were reported among intervention group participants with diabetes (n = 281) and prediabetes (n = 181) compared with the control group.